You are definitely in the right place if you are looking for a good selection of walking guide books. Easy site navigation by location will get you where you want to be quickly. Just click on Bookshop or here to get started. Wherever in the UK you are planning to walk we will give you the best choice of guide books to ensure you find the best routes. 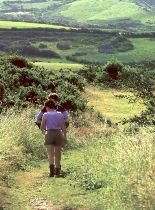 You can also find lots of information about walking destinations by clicking Locations, find out about Britain's fantastic long distance walks and our National trails by clicking Trails and also get details of walking festivals and events. 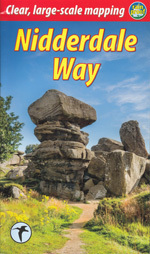 Great news that a completely new guide to the Oxfordshire Way is now available, written by Nick Moon, who has excellent knowledge and experience of this route since its founding. An attractive full colour guide with OS 1:25,000 scale mapping, this book is now the essential resource for exploring the Oxfordshire Way long distance path. For further information about the book, or to purchase from our bookshop at a discounted price please click here. There has not been a guide to the Nidderdale Way in print for a while now, so its three cheers to Rucksack Readers who have just published an excellent new guidebook which ticks all the boxes of what a good walking guidebook should contain. Nidderdale is perhaps the least known of the Yorkshire Dales valleys. This unique dale has three large reservoirs formed by damming the River Nidd. It boasts impressive natural features such as Brimham Rocks, Guise Cliff and How Stean Gorge. Walking the circular Nidderdale Way is a very enjoyable 4 to 6 day long distance walk. 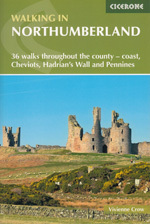 We completely agree that this book is an excellent choice to exploring Northumberland on foot. It is well researched with informative and enjoyable well-written text. Vivienne has won awards for her books before and is definitely a master of her craft with a genuine love of the outdoors. The book, published by Cicerone to their usual high standards, is well illustrated with colour photographs taken by Vivienne and includes Ordnance Survey 1:50000 scale mapping of the 36 walking routes. Previous paper guides for these three walks have long been out of print. Here in one volume is the opportunity to discover their delights and achieve the satisfaction of completing them all. As well as detailed descriptions of the routes and full-colour mapping at a scale of 1:25,000, the book includes information about the many points of interest and much background material about the geology, geography and history of west Kent. The book is nicely illustrated with plenty of colour photographs. The routes are described in sections and information is provided for planning how best to undertake the walks. This new guide to walking the Cleveland Way is outstanding for the quality and detail of its full colour mapping. Each step-by-step navigation instruction in the text is numbered and includes a grid reference. Each of the step numbers are shown with arrows on the adjacent detailed map, so you always know exactly where you are. The book is beautifully illustrated with colour photographs. The route is described in nine day walk sections and background information for each stage of the trail is included. Each section includes an introduction to the features of the days walk and an elevation plan is provided. There is also a general introduction at the beginning of the book and information on accommodation and planning. 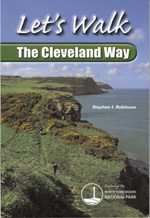 This book is a real contender for choice of guide when walking the stunning Cleveland Way. 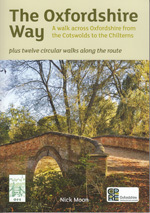 The new Gustav Holst Way is a long distance walk through glorious North Cotswold countryside from Cranham to Wyck Rissington, via Cheltenham and Bourton-on-the-Water. Linking places associated with the composer this is an interesting new path. 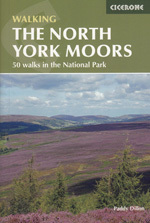 This is the new 2019 edition of this classic guidebook offering 50 walks in seven regions of the North York Moors National Park, enabling walkers to discover the Tabular Hills, Hambleton Hills, Cleveland Hills, Northern Moors, High Moors, Eastern Moors and Cleveland Coast. For those who like to rise to a challenge, the course of the classic Lyke Wake Walk is also described. 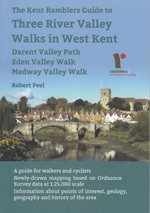 In total there is almost 750km (465 miles) of walking routes in this book!